Lovage plant, Levisticum officinalis, is sometimes known as Maggi Plant. An easy-to-grow substitute for Dong Quai. When used appropriately the root of this plant will regulate menstruation. Folklore states that Lovage will make one more lovely and loveable! Used to add a meaty flavour to stews, soups, and salads. The basis of an eye lotion and a companion plant. Lovage plant is a native of Europe and is adaptable to most soils and positions, tolerates shade. Flattened clusters of small white flowers appear in summer. Drought and frost tender. 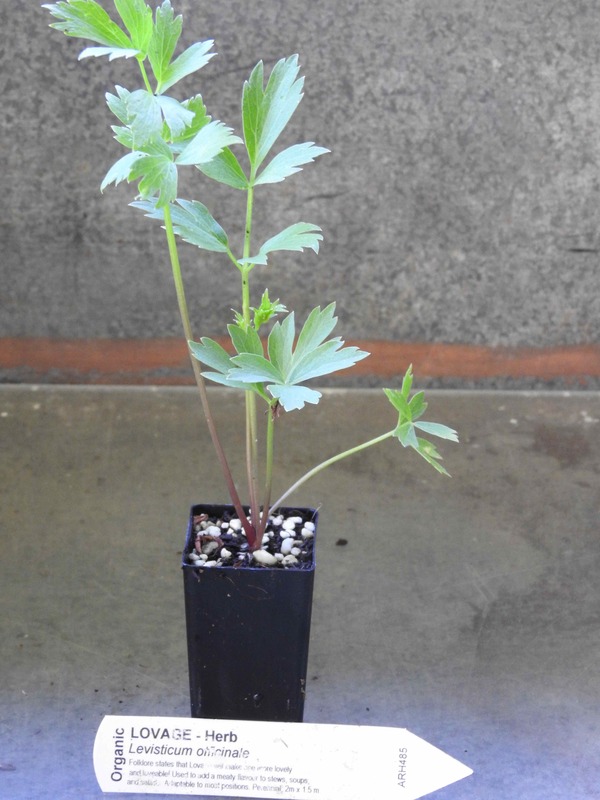 A perennial plant, growing to 2m x 1.5 m.
Be the first to review “Lovage, plant” Click here to cancel reply.